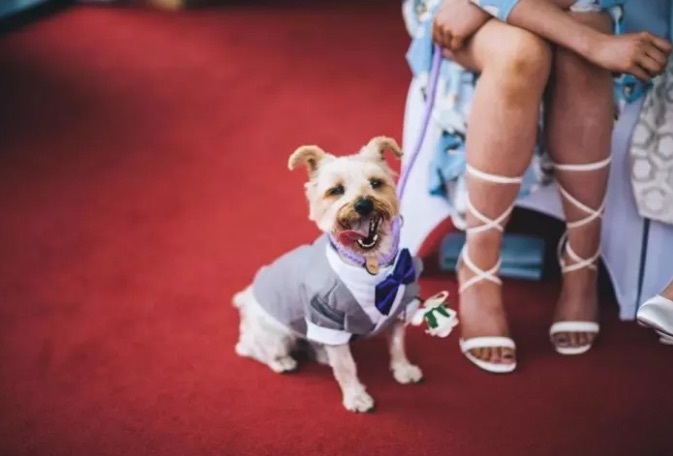 This pup was ringbearer at his owner's wedding | Canine Chat Forum • The Dog Lover's Community! Canine Chat Forum • The Dog Lover's Community! Discussion in 'Canine Chat' started by Michele, Aug 28, 2017. 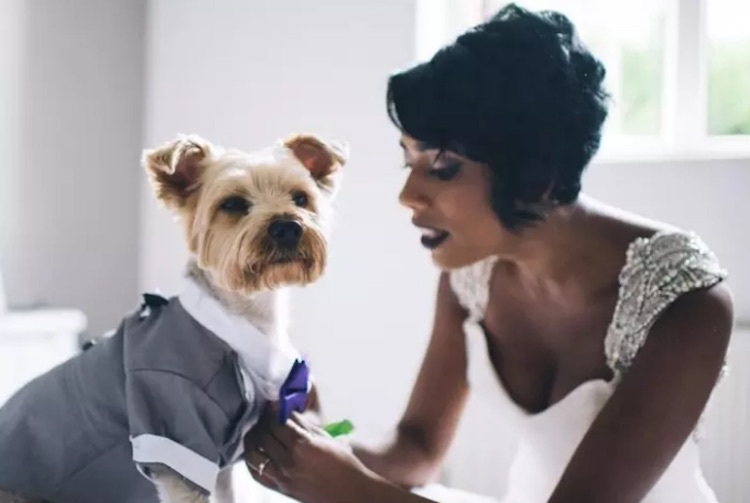 When this dapper looking pup was asked to be the honorary ring bearer at his owners’ wedding, he didn’t hesitate to say “I do”. 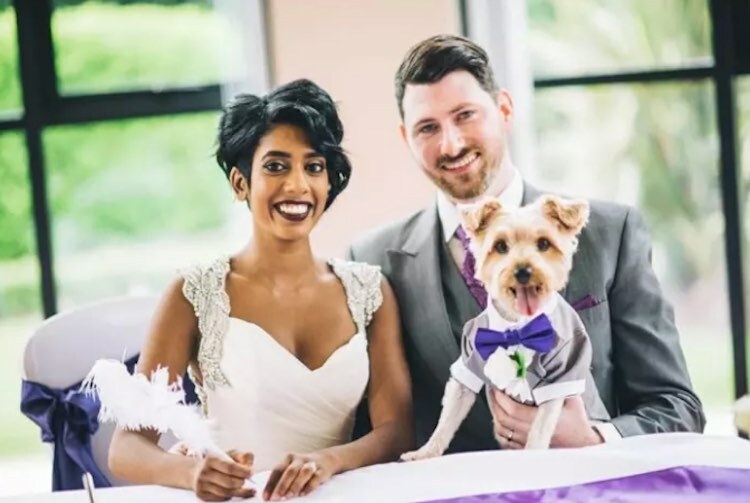 Sean McCrory and Sheree Atcheson of Belfast, Northern Ireland recently tied the knot in a happy, dazzling ceremony – but the spotlight was stolen from them by their 7-year-old pup Alfie. 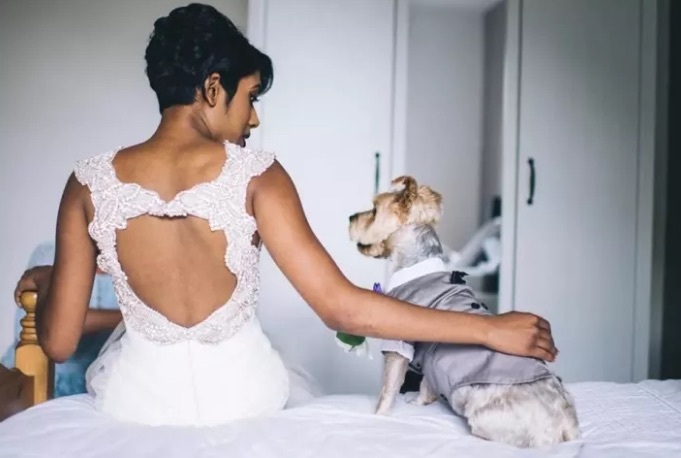 It may have been because the dog was given his own custom-made suit for his special role in the wedding – and it was really adorable. 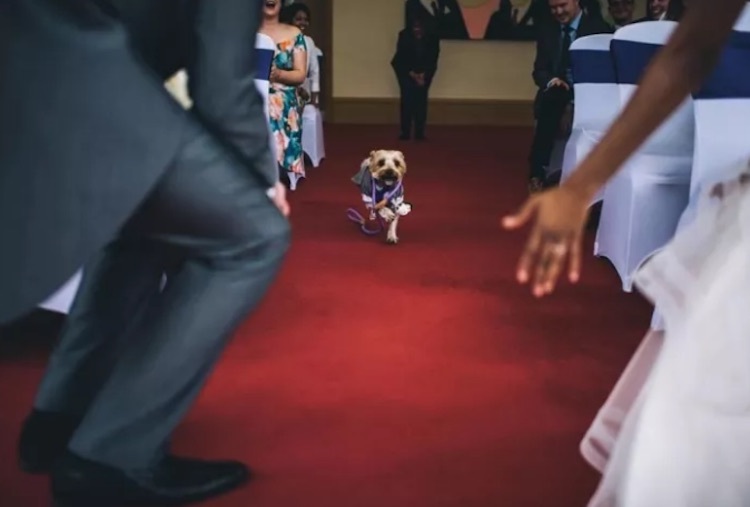 When it became his time to shine, he determinedly charged down the aisle to where the lovebirds were waiting for him. And the photos from the cute occasion, which were captured by Kat Mervyn Photography, are even more precious.